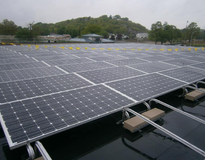 If you are looking for high quality solar installation, Rob Carlson is the person to speak to. I recently had a 5.8KW solar PV system installed on my roof. I used Carlson Solar as my solar contractor. From the very start, during the period I was getting quotes from multiple contractors, I was very happy with his openness and the time he spent in explaining how things work. Early on I got the sense that he wouldn't sell me anything more than what I needed and he well understood my concerns about the aesthetics. Even his quote was extremely competitive with the other contractors. When I finally commited and the installation began, I was pleased with the effort they put in. There was one day where they even got on the roof in a very small window prior to a thunderstorm. Today, I have my system installed and I keep checking the energy production on a daily basis. I am happy with the parts we used that makes this possible. 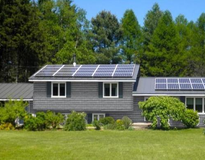 If you are looking for high quality solar installation, Rob Carlson is the person to speak to.